SGIA Expo exceeded virtually everyone’s expectations. 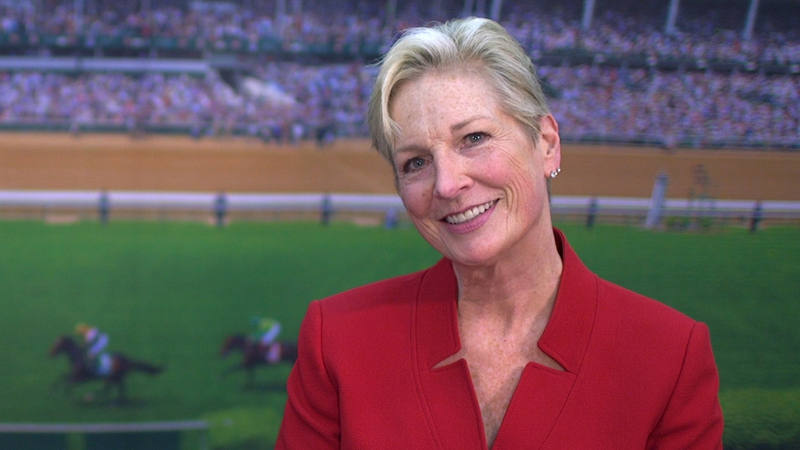 In Part 1 of our show coverage we look at some of the major hardware introductions. We were at the VooDoo Lounge for an industry party Thursday night during last week’s SGIA Expo, and it occurred to me that there are parallels between zipping over the streets of Las Vegas and following the advice of many industry analysts and experts to transition from traditional commercial printing to some form of specialty graphics. There can be a dizzying, vertiginous sense of adventure in taking a business into a new direction. The other operative analogy is that, Vegas being Vegas, transitioning a business is also a bit of a gamble. For the third year in a row, the SGIA Expo broke past attendance records, and exhibit space on the show floor was completely sold out. Booths and aisles were standing or weaving room only, and virtually everyone was quick to say what a successful show it was. Happy faces abounded. In terms of what was on display, there was not much that was truly revolutionary, which is rather a good thing; we’ve had plenty of product and technology revolutions over the past decade and a half, so this is a great time to catch our breaths, and catch up on the technologies that have emerged. 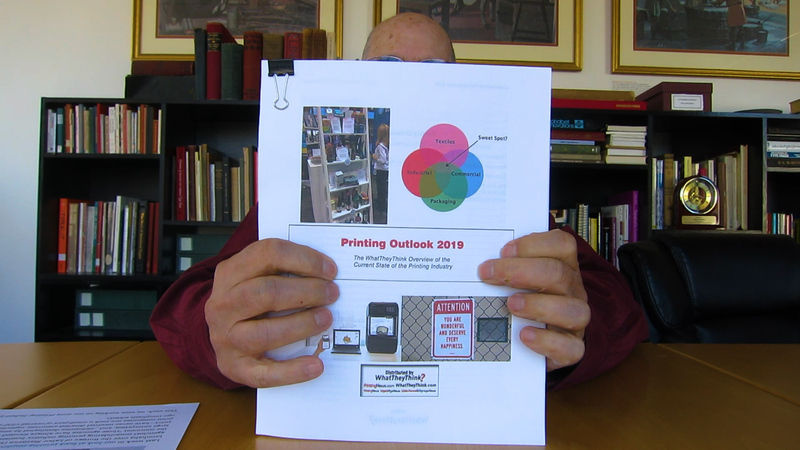 We’ve reached a point where things are more evolutionary—equipment manufacturers filling in the gaps in their portfolios, improving the usual triumvirate of speed, quality, and price, new and improved inksets and substrates, and, on the software side, boosts in productivity and advances in the perennial gray area that is color management. In some ways, however, the quality issue has become a moot point; just about everyone can print high-quality graphics. Sure, there is always room for improvement, and it does depend on the quality requirements for a given application. But the dominant theme this year was on improving productivity, be that boosting speed, increasing automation, or other factors that can pump projects through a plant with, as they say, a minimum of touches. A big part of the reason the SGIA Expo has been so successful is that there is very little that it doesn’t encompass. Traditional screen and pad printing, garment embroidery, modern digital roll-to-roll wide-format, big industrial flatbeds, dye-sublimation and direct-to-garment printers—and all the myriad applications these old and new technologies enable, from UV printing on miniature Matchbox cars to applying vinyl graphics to a life-size van. Cutting-edge dynamic digital signage solutions are only a few aisles away from someone selling squeegees. Like walking through Vegas casinos, touring the show floor can be an exercise in overstimulation—but at least none of the machinery chants “Wheel…of…Fortune!” at you as you walk by. Part I of our show coverage will focus on the most conspicuous aspects of the products on the display: the hardware. 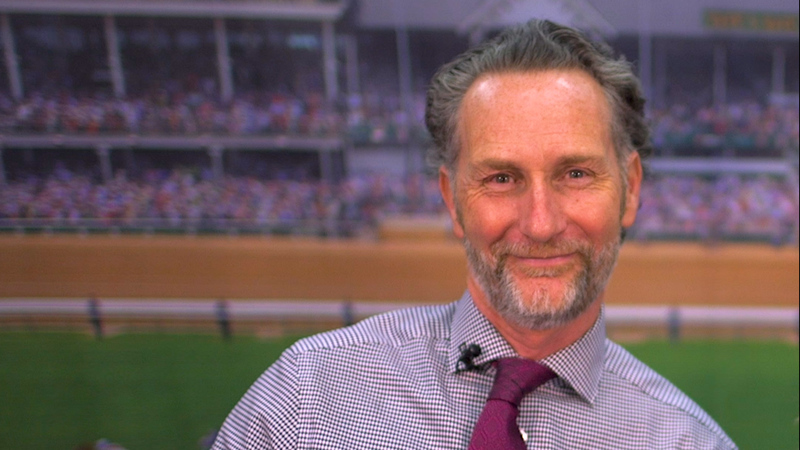 Part II will look at software and substrates, and offer spoke final thoughts about what this all means as we head toward 2015. By the way, I have converted all size-related specs to English units, as the random combination of English and metric units in the same story just seems wrong to me. 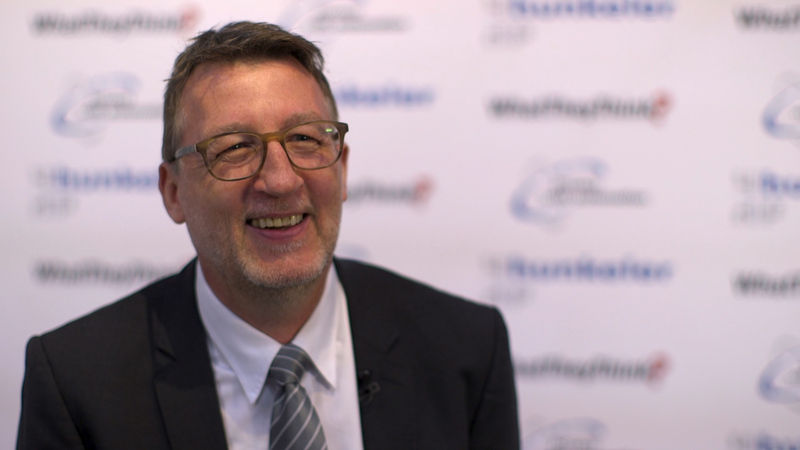 Agfa Graphics launched its new Anapurna M2500i 98-inch-wide, six-color (CMYK plus light cyan and light magenta) plus white flatbed UV inkjet printer. Targeted at sign shops, digital printers, photolabs, and mid-size graphic screen printers, the M2500i is designed for indoor, outdoor, and niche applications such as, the company says, art reproductions, mouse pads, DVDs, wood, architectural and interior decorations, ceramics, and more. This new Anapurna complements the Anapurna M3200i RTR, which was making its North American debut at the show. 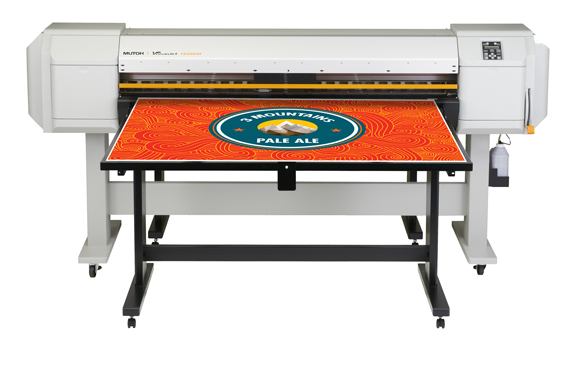 It is a six-color, 126-inch-wide roll-to-roll UV printer, designed for indoor and outdoor applications and can print on flexible media such as fabric, canvas, vinyl, and more. 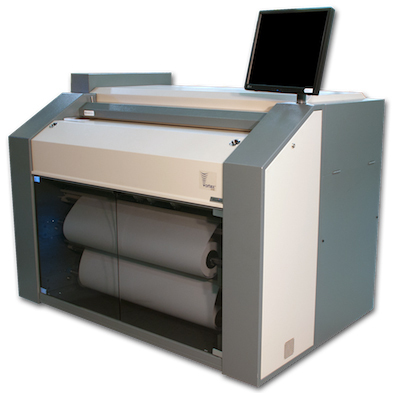 It features a dual-roll option that allows users to simultaneously print on two rolls of the same media type, each up to 60 inches wide. By the way, Agfa Graphics’ Jeti Titan HS, which launched earlier this year, won Product of the Year in the “UV Flatbed (over $200K)” category. 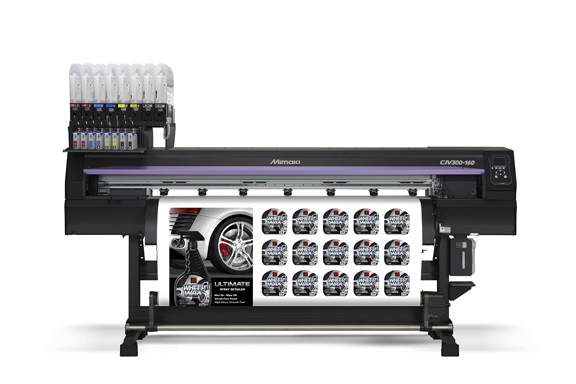 Canon Solutions America (CSA) had announced its new Océ Arizona 6100 Series back in May, and the latest entries in the long-running Arizona line of UV flatbeds comprise the six-color Océ Arizona 6160 XTS and seven-color Océ Arizona 6170 XTS, and are targeted toward sign and display print service providers. The 6170 XTS won Product of the Year in the “UV Flatbed +White (over $200K)” category, while the Arizona 318 GL w/White Ink Option won in both the “UV Flatbed (under $200K)” and “UV Flatbed +White (under $200K) categories. Durst introduced two new products at this year’s Expo: the latest in the Rho series of UV flatbeds, the Rho 1312, and the Rhotex HS, targeted for the soft signage market. The 98-inch Rho 1312 prints up to 6,600 square feet per hour (your mileage may vary). 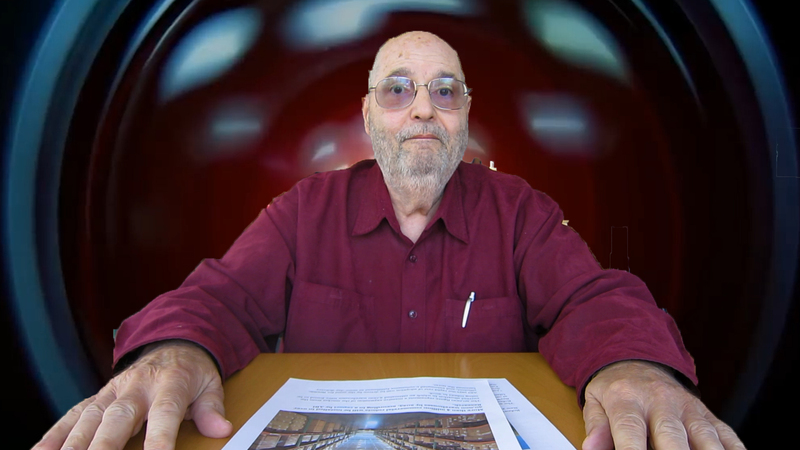 The 1312 also incorporates what Durst calls “Gradual Flow Printing,” essentially a media transportation system that is said to provide higher reliability during printing and better performance with difficult media, such as corrugated materials. The 130-inch Rhotex HS is designed to print on a variety of materials such as a range of soft-signage applications such as banners, displays, wall decorations, signage, parasols, flags, backdrops, and outdoor advertisements. Boasting speeds of up to 4,300 square feet per hour, the Rhotex HS also uses water-based, eco-friendly dispersion inks that are odorless and contain no volatile organic compounds (VOC). EFI was showing a cross-section of its product offerings. EFI’s most recent product introduction was the new H1625 LED, a mid-level hybrid printer that can print CMYK plus white on a wide variety of rigid and flexible materials. Also on display were the VUTEk HS100 Pro, a 126-inch hybrid UV press that can handle more than 100 boards per hour; the VUTEk GS5500LXr Pro, a 204-inch, 8-color plus white, roll-to-roll device suitable for flexible substrates such as heavy textiles and mesh; and the VUTEk GS3250LX Pro, a 126.5-inch, six-color roll-to-roll printer designed for high-margin, closely viewed graphics. EFI was also talking up its commitment to LED UV curing, which replaces mercury-vapor lamps with LEDs (light-emitting diodes) that run cooler, are more compatible with thin substrates that can be melted, damaged, or discolored by the heat of traditional UV lamps, and, perhaps most importantly, use less energy and are thus less expensive to run from an energy-use standpoint. Back in 2001, the Inca Eagle soared onto the market and was the first commercially successful flatbed wide-format printer, kicking off a technology category that has completely changed wide-format and specialty graphics printing. The latest Inca wide-format flatbed, introduced by Fujifilm—Inca and Fujifilm were celebrating 15 years of partnership—made its debut at the SGIA Expo: the Inca Onset R40i. 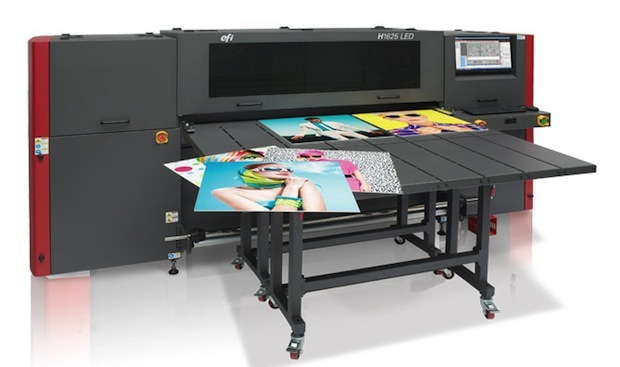 The R40i, a UV flatbed, prints, the company says, up to 4,300 square feet per hour, and is available in a variety of ink combinations (CMYK, plus light cyan, light magenta, and white), with users able to configure the press as a four-, six-, or eight-channel device. The new Onset can print on media as large as 123.6 x 63 inches and up to two inches thick. 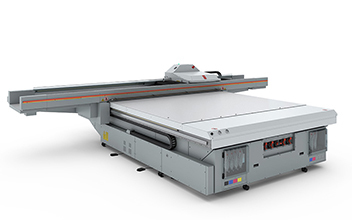 The R40i also features a Hostert full automation system, an automated feeder and alignment table that, in combination with with Inca Digital’s proprietary material loader and take off system, allows for continuous printing onto a variety of substrates commonly used in the display, POP and sign markets. Fujifilm also introduced a new addition to its Acuity line of flatbeds, the Acuity F, a UV flatbed designed specifically for the higher end of the midrange of the display and signage market. Salient specs are maximum substrate size of up to 120 x 98.5 inches and a thickness of two inches, speeds of over 1,668 square feet per hour, and a typical ink configuration of six colors plus white. Mimaki was showing an array of models in its growing portfolio. 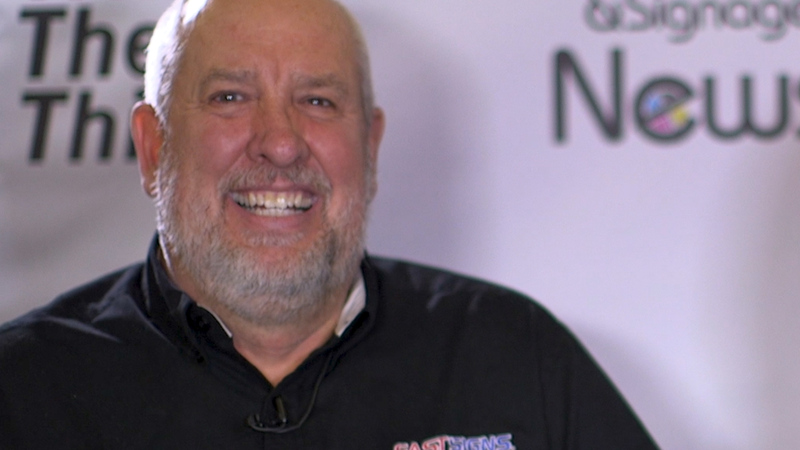 The SGIA Expo saw the first North American showing of models in the CJV300 Series of cut-and-print machines. The series comprises the 54-inch CJV300-130 and the 64-inch CJV300-160. These machines are said to print up to 1,140 square feet per hour, and can be configured using up to 10 SS21 eco-solvent ink colors, including silver, which can be used to create high-value print products. The new devices and are suitable for high-volume production of labels, decals, T-shirt transfers, window clings, floor graphics, POP displays, vehicle markings, package prototypes, and more. Other recent introductions on display were the JV150 Series printers and CJV150 Series cut-and-print machines, which launched in early October. The JV150 Series, based on the JV300 Series platform introduced last spring, comprises the 54-inch JV150-130 and 64-inch JV150-160. Both models can print using either the SS21 eco-solvent inks (available in eight colors including CMYK plus light cyan, light magenta, light black, and orange) or Sb53 dye-sublimation inks (available in magenta, blue, yellow, black, light magenta, and light blue), and are said to be capable of print speeds of up to 605 square feet per hour. The CJV150 Series units are based on the CJV300 Series platform and comprise the 32-inch CJV150-75, 43-inch CJV150-107, 54-inch CJV150-130, and 64-inch CJV150-160. These models are suitable for signage or textile applications. The company’s JV400SUV-160 won a Product of the Year award in the “Roll-to-Roll UV (under 96 in. )” category. 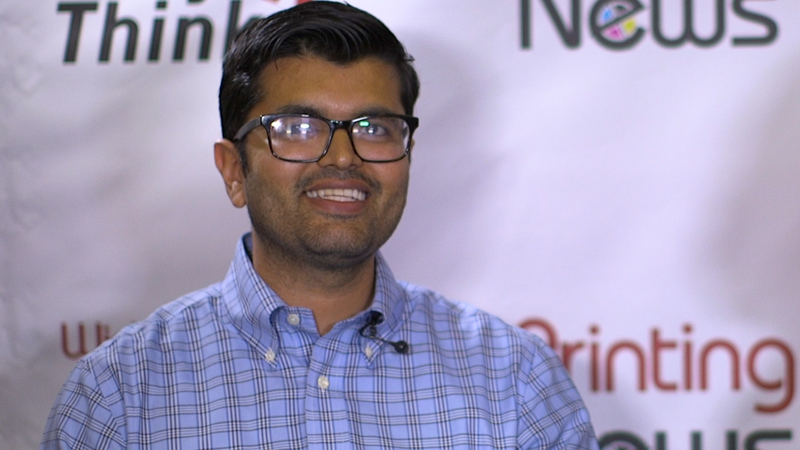 Mimaki, in partnership with Printform, Rickshaw Bagworks and Axiom America, was also participating in the Garment Zone, and were showing a web-to-print system for specialty printing. Users could upload their own photos and have them printed on tote bags or iPhone cases. Mutoh was showing representative examples of its growing portfolio, including the ValueJet 1626UH 64-inch UV-LED hybrid printer that prints CMYK plus white and varnish ink on both rigid and flexible substrates up to a half-inch thick, targeted toward sign shops and designed to produce print packaging prototypes, trade show graphics, POP displays, and outdoor and indoor signage. Mutoh also had on hand its relatively new ValueJet 426UF UV-LED tabletop printer, a small (19 x 13-inch) machine that prints with CMYK plus white and varnish on virtually any substrate up to 2.75 inches thick. Key applications are promotional and personalized objects such as golf balls, phone cases, pens, luggage tags, and other specialty items. There was also the 64-inch ValueJet 1624 and 54-inch ValueJet 1324, capable of printing up to 600 square feet per hour. The ValueJet 2638 won a Product of the Year award in the “Roll-to-Roll Solvent/Latex (over 96 in. )” category. Reprographic Technology Inc. (RTI) had on hand its successful initial foray into wide-format printing, the Vortex 4200 42-inch inkjet printer capable of printing at speeds of up to 12 inches per second, or 9,168 square feet per hour. It uses five Memjet printheads boasting 352,000 nozzles for drop on-demand thermal inkjet printing. The Vortex has been extremely well-received by printers serving the architecture, engineering, and construction (AEC) markets, as well as map printers. The Vortex has also proved popular for POS graphics and supermarket signage. 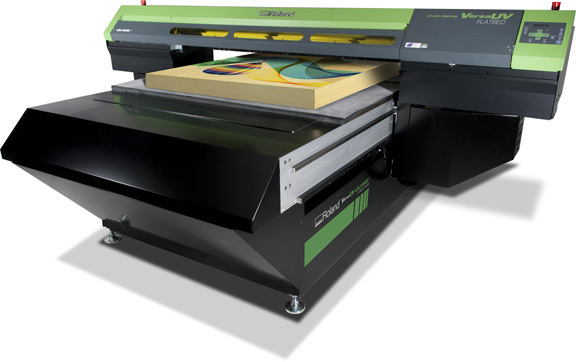 Roland introduced its first large industrial flatbed printer, the VersaUV LEJ-640FT UV-LED. It features a 64 by 98-inch bed and can print on rigid substrates up to six inches thick. It prints 1440x1440 dpi in CMYK plus white and Roland’s Clear Coat. This is Roland’s first entry in the wide-format industrial flatbed space, joining the smaller-format benchtop VersaUV flatbed printers. Roland also was showing for the first time in North America, its new 64-inch Texart RT-640 dye-sublimation printer. It prints in four (CMYK) or eight-color (CMYK + light cyan, light magenta, orange, and violet) ink configurations at speeds of up to 351 square feet per hour. Designed for textile printing (soft signage, banners, et al.) it also includes a special textile-specific RIP, the ErgoSoft Roland Edition. Roland’s third product introduction at the show was the 64-inch VersaEXPRESS RF-640 eco-solvent printer, designed as a less expensive complement to the popular SOLJET XF-640. 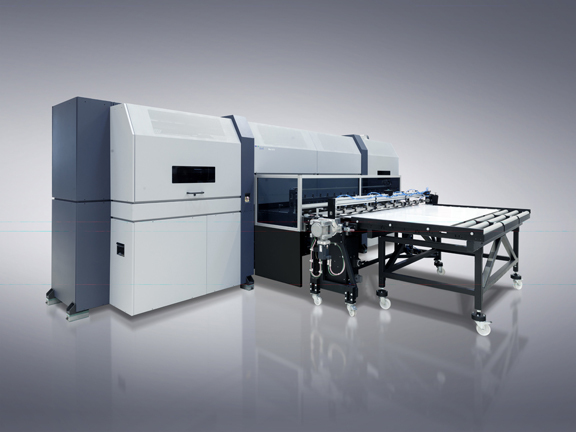 It features a mirrored CMYKKYMC printhead configuration to print up to 521.9 square feet per hour. 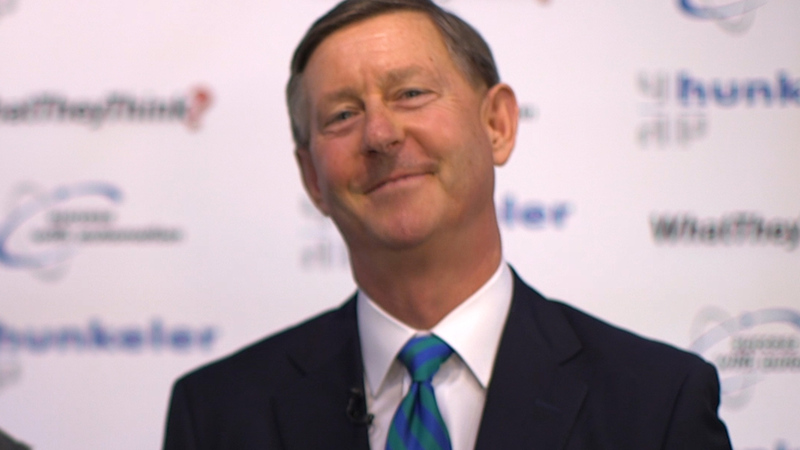 The highlight, perhaps, of the Roland ImagiNATION conference was a video the company put together called “Stuff Print People Say.” Most of the crowd laughed uproariously throughout. I think just about all printers can identify with this. “Lamentation” indeed. At the end of the day—or the end of the three days of the SGIA Expo—there was no lamentation at all.